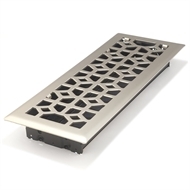 Floor register with fully adjustable metal damper and hidden lever and extra thick plated steel construction. 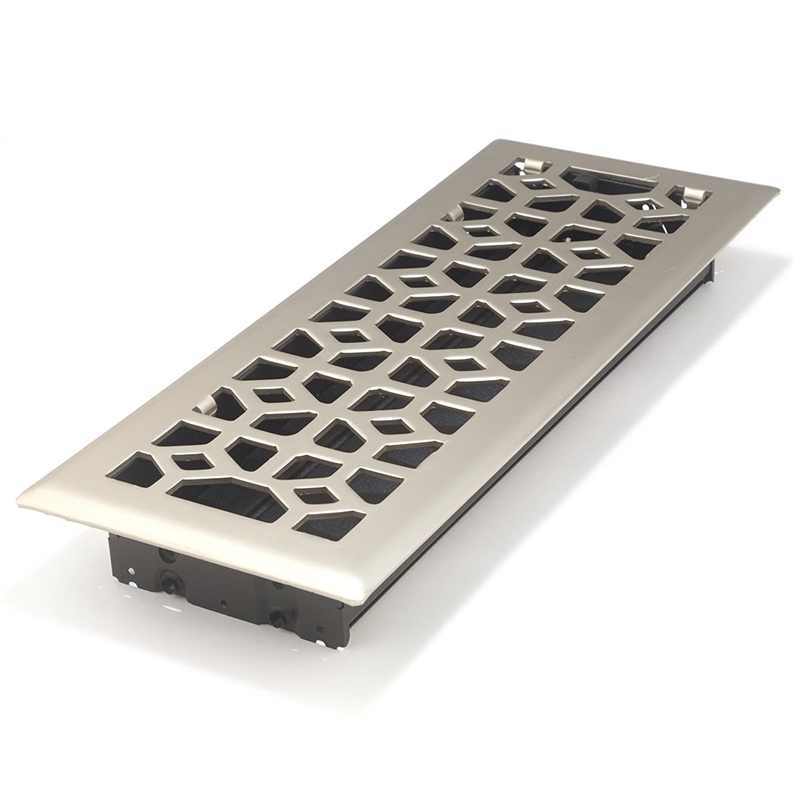 Vent has a contemporary brushed nickel electroplated finish. 10 x 30cm neck and 14 x 34cm face - as vent has a 2cm lip around the opening.